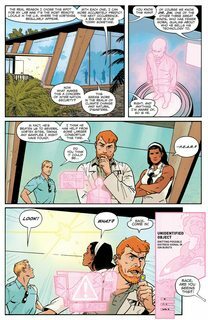 Future Quest Vol. 1 (2017) : When worlds collide, it’s up to Hanna-Barbera’s best-known action heroes to save the day! Johnny Quest, Space Ghost, the Herculoids and more are reimagined in this new collection! 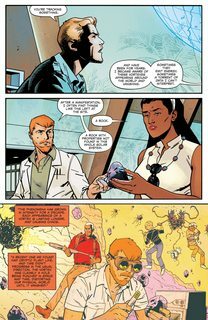 When Jonny Quest and his adoptive brother Hadji make a startling discovery in the swamplands of Florida, they are pulled into an epic struggle between the Space Rangers and a dangerous villain who threatens the galaxy. Now, it’s up to the combined forces of Jonny Quest, Space Ghost, the Herculoids, Birdman, Frankenstein Jr., the Impossibles, the Galaxy Trio and Mightor to stop him and save their universe! 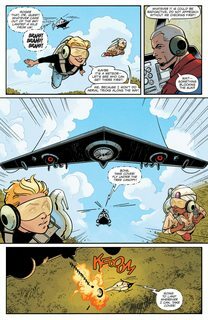 Collects FUTURE QUEST #1-6!